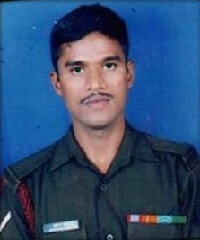 Lance Naik Marigendra Nath Pramanik hailed from Kumar Chak village in Purva Midnapur district of West Bengal. He had joined the Indian Army in 2003 at the age of 18 years. 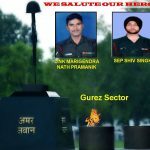 By the year 2017, Lance Naik Marigendra Nath Pramanik had put in 14 years of service operating in various areas with different terrain and operating conditions. During 2017, Lance Naik Marigendra Nath Pramanik’s unit was deployed in the Gurez sector in J & K. The Gurez sector, located in Bandipora district, is one of the remote parts of the valley and remains inaccessible during winter when snow shuts the only road which links it with the district headquarters. The sector is heavily militarized and soldiers are stationed on mountaintop posts to guard the Line of Control and prevent infiltration of militants. On 11 Dec 2017, the Gurez sector in the mountainous northern region of the Kashmir valley received heavy snowfall resulting in avalanches in the area. Lance Naik Marigendra Nath Pramanik was part of the patrol team carrying out the assigned task in the rugged and inhospitable terrain. 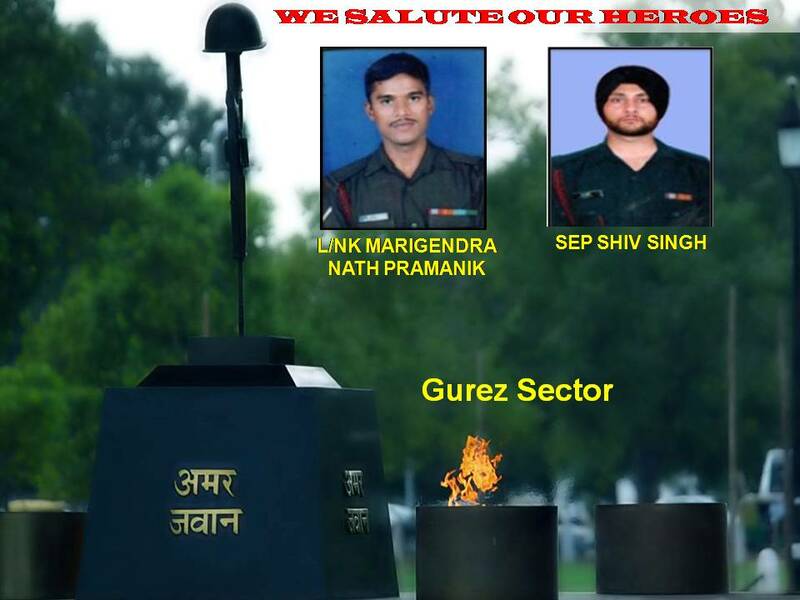 Lance Naik Marigendra Nath Pramanik along with his two other comrades got swept away and went missing. The Army launched concerted efforts and pressed the specially equipped Avalanche Rescue Teams into service to search for the missing soldiers. However, the body of Lance Naik Marigendra Nath Pramanik was recovered after one week of search on 18 Dec 2017. 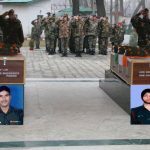 The mortal remains of the braveheart was transported from the Gurez sector to 15 Corps Headquarters at Badamibagh cantonment in Srinagar and later flown for the last rites to his native place. Lance Naik Marigendra Nath Pramanik was a valiant and committed soldier who laid down his life in the service of the nation. 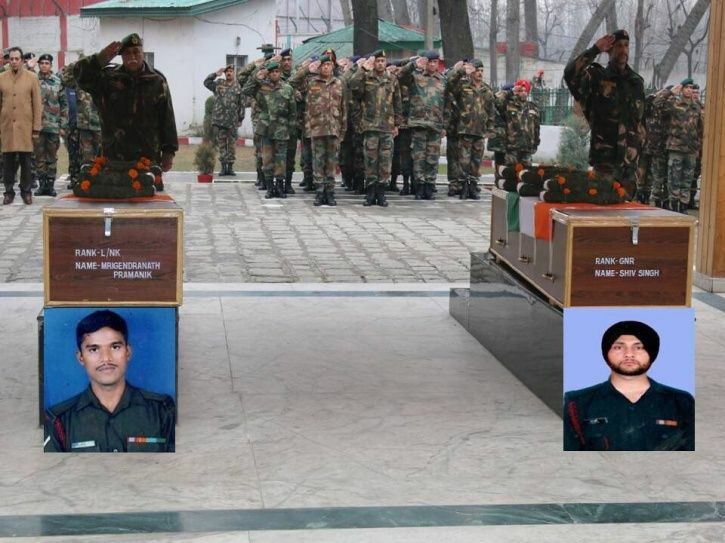 Lance Naik Marigendra Nath Pramanik is survived by his parents, wife and two children.